Published: September 30th 2014 by Simon & Schuster Books for Young Readers. The clock chimes midnight, a curse breaks, and a girl meets a prince.. but what follows is not all sweetness and sugarplums. New York City, 1899. Clara Stole, the mayor's ever-proper daughter, leads a double life. Since her mother's murder, she has secretly trained in self-defense with the mysterious Drosselmeyer. Then, on Christmas Eve, disaster strikes. Her home is destroyed, her father abducted--by beings distinctly nothuman. To find him, Clara journeys to the war-ravaged land of Cane. Her only companion is the dethroned prince Nicholas, bound by a wicked curse. If they're to survive, Clara has no choice but to trust him, but his haunted eyes burn with secrets--and a need she can't define. With the dangerous, seductive faery queen Anise hunting them, Clara soon realizes she won't leave Cane unscathed--if she leaves at all. There was something about this book that kept me from completely falling in love with it. I felt a certain disconnection from the story and the characters. It also doesn’t scream nutcracker retelling to me, but my overall opinion is that it’s a good book. The writing-style was superb, although not something everyone will fancy, and I was absolutely blown-away by the villain. Clare’s mother was brutally murdered and she is looking for answers. What did happen and who was behind it? In the mean time she is trying to take care of her sister Felicity, her father’s failing duties as mayor, the pressure from the Concordia members and Dr. Victor’s unwanted attention. To make things even worse, Godfather releases another world into her life by fixing a curse from the statue she always felt drawn too. Clare now finds herself in a world with fairies, hunting down her father before Concordia kills Felicity. Clare’s fascination with a statue, who turns out to be a real boy trapped in a curse, was creeping me out. I understand that she talked to the statue, but kissing it and pushing herself against it imagining he was real went a little too far. I have mixed feelings about Clare. She had moments of strength and bravery that made me appreciate her – and the next moment she would destroy it all by returning to a whiny, spineless girl. I didn’t like how she accepted Victor’s rapey attitude (and how everyone else was looking away). I wish she was more consistent, but her character did have some development towards the ending. The moment she embraces her new role in the situation changed her. In the end, it wasn’t too bad to follow her around the story. Next is Nicholas, who was an okay character to me. He did something that made me disapprove of him and even after his apologies I felt a certain grudge towards him. I could never forgive someone for stabbing me in the back like that, so I wasn’t completely sold on the romance aspect. They are certainly cute together, but his action kept nagging at me. This book shined when it comes to the villain and the writing-style. Legrand knows how to use the right amount of descriptions and her sentences weaved a story I couldn’t let go of. She hooked me with her choice of words and scenery. The way she created the villain was brilliant. She had the balance between bad and good, making her complex and fascinating. Anise took over, years after the brutal slaughter of her parents. She grew up alone and this loneliness has settled in her bones. She punishes the people who took everything away. When she gets her hands on Clare, she feels connected to someone similar too her. It’s obvious she is hungry for affection and a friend. Her actions have driven her too far and I don’t approve of what she did, but I felt pity for her and how her life turned out – and I understood why she did it. There was also a certain twist that caught me off guard and credits to Legrand for going there. So, this book might not have been everything I was looking for, but it was still quite good. I am laughing SO HARD reading the part about her pushing herself against the statue and wishing it was real! Like i'm picturing it in my head right now and I just can't handle it! Like you, I think I would have an issue with that portion of the book lol. The cover is so gorgeous though! I had high hopes for this book for that reason alone! 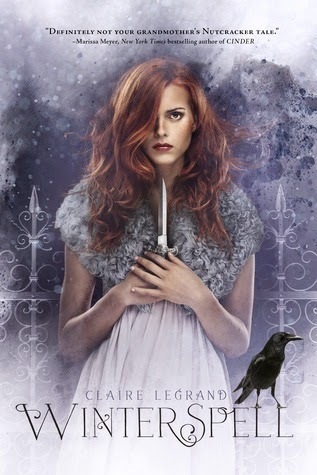 I have yet to read a Claire Legrand book but I really need to fix that soon! I think I have most of her books on my tbr shelf - including this one. I'm sorry it didn't completely deliver for you. The bit about the statue does sound really odd LOL^^ Maybe I should check out her MG books first. Hahah I read this a long time ago, but I also remember Clare's fascination with the statue. It was weird and creepy. And I don't like Nicholas. I mean I guess I did back then, but like you I never really forgave him. Review 262. Cat Hellisen – Beastkeeper. 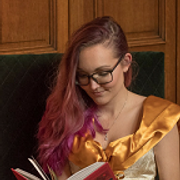 TTT | Books I wish I could buy right now. Let it go | Okay, good and the best.